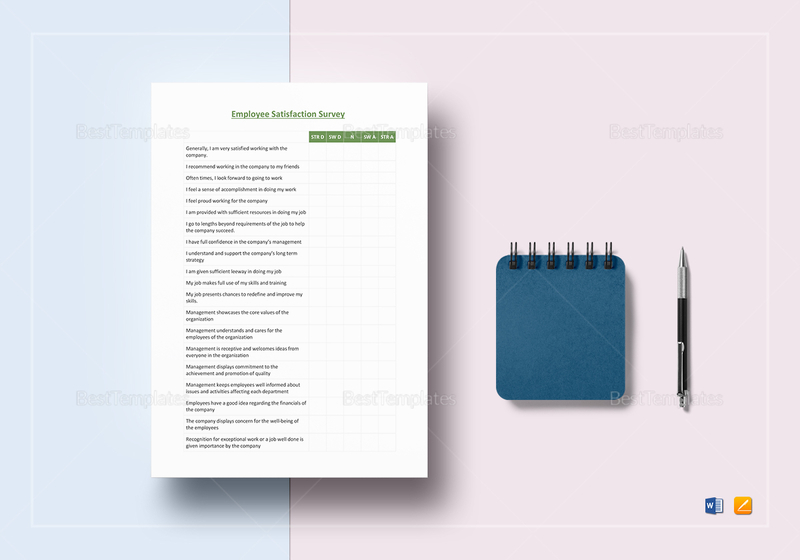 Analyze and get to the bottom of employee satisfaction using this Employee Satisfaction Survey Template. 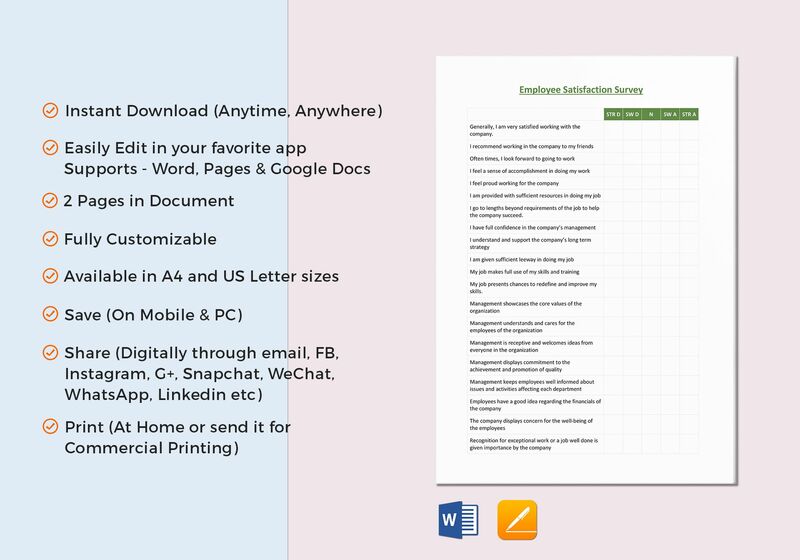 Make effective surveys with this 5-page document you can download anytime and anywhere. Easily edit with your choice of application that is compatible with file formats for MS Word or Pages. Share via email or through your social media accounts for more coverage. Print at the comfort of home or through commercial printing.